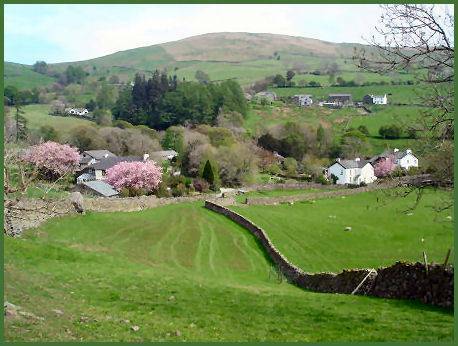 Kentmere is a small, scattered Lakeland village, situated four miles from Staveley, it nestles at the head of the quiet, but easily accessible Cumbrian dale of Kentmere, to the east of Lake Windermere. 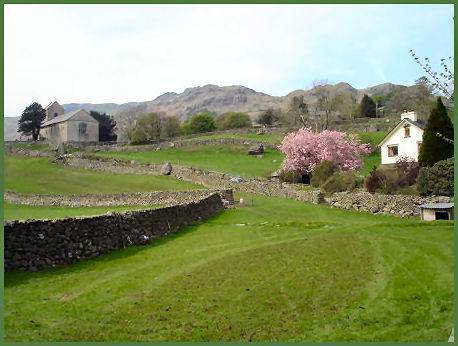 The village 's most famous son was the religious reformer Bernard Gilpin, who was born at Kentmere Hall in the village in 1517. Bernard Gilpin was the younger son of a notable local gentry family. The Gilpins had owned land in the area since the reign of King John and were granted the valley and much surrounding land following an act of bravery by a family member. A Bert de Guylpyn is reputed to have come over to England from Normandy after William I's conquest of the country in 1066, the name derives from their place of origin in Normandy. At the time of the signing of the Magna Carta, Richard de Gilpin , who was popularly known as "Richard the Rider" travelled with the Baron of Kendal to the historic meadow of Runnymeade, as his secretary. Richard was later to become famous for slaying the Wild Boar of Westmorland, a ferocious beast, that had terrorised local villages. In reward for his courage, the Baron granted him the land in and around Kentmere. The renown of Richard Gilpin and his ancestry were later immortalised by minstrels of the period in a song known as "the Minstrels of Winandermere". Gilpin was a famous Protestant preacher during the reign of Henry VIII and at the time of the religious upheaval witnessed during the reign of his fanatically Catholic daughter, Mary I, known as 'Bloody Mary', for the number of Protestants who suffered burning at the stake during her reign. He was appointed a Fellow at the Queen's College, Oxford, Rector of Thornton-le-Moors, Vicar of Norton, Rector of Houghton-le-Spring and Archdeacon of Durham but declined the bishopric of Carlisle. Gilpin was to become popularly known as the 'Apostle of the North' for his attacks on the Roman Catholic church and stood in real danger of being burnt at the stake by Queen Mary I. He had been arrested and was facing heresy charges, when on the journey to London to answer his accuser, the notorious Bishop Bonner, he broke his leg, which created delays and he was saved by Mary's own death on on 17 November, 1558, which occured before he recovered. Her Protestant sister and successor, Elizabeth I restored him to his position as Archdeacon. Gilpin himself died at Houghton-le-Spring, County Durham on 4th March, 1583 as a result of being knocked down by an ox at market, from which he did not recover. Characterful Kentmere Hall, now serves as a farm house, it has a fine fourteenth century pele tower, a profusion of such pele towers were built in the north of England to guard against incursions from marauding Scots raiders, a common feature of life in the north during the Middle Ages. The hall was home to the Gilpin family from 1375. The tower has walls of five feet thick in places, tunnel-vaulted ceilings, a crenellated roof with turrets and a spiral staircase. 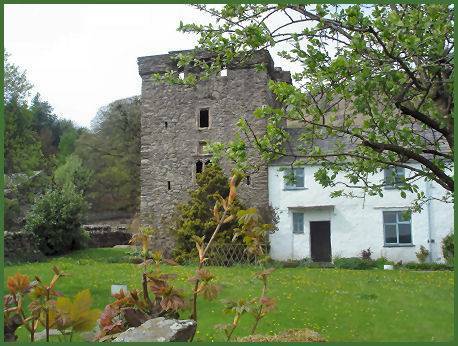 The Hall was originally larger but suffered extensive damage during the Civil War, the tower and a small 14th century building attached are all that now remain of the original buildings. The hall was passed into ownership of the Philipson family of the nearby village of Crook in 1660. Kentmere Hall is not open to the public, but a public footpath runs adjacent to the building, from which it can be viewed. The church of St Cuthbert, largely rebuilt in 1866, boasts far older roof beams which date from the sixteenth century. It has been suggested that parts of the building may date to Norman or even Saxon times. 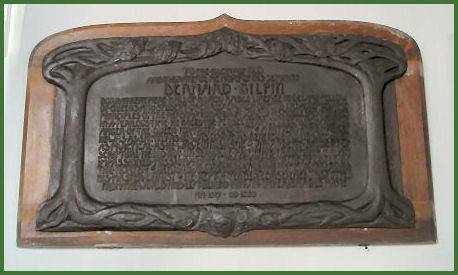 A bronze memorial within the church commemorates Bernard Gilpin. The lights in the church were converted from the original oil lamps when electric power reached the valley as late as 1963. 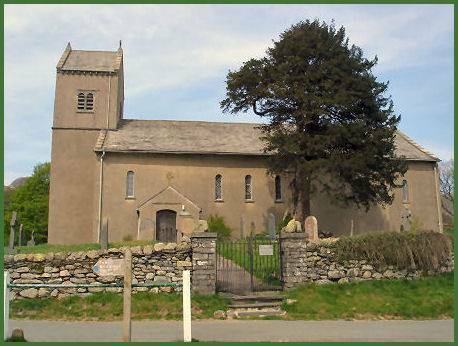 An ancient yew tree, reputed to be over 1,000 years old, and estimated to date back to the time of William the Conqueror stands in the churchyard. Standing near to Kentmere Hall is the Brock Stone, also known as Badger Rock, a large free-standing rhyolite boulder, which presents a challenge to climbers. Footpaths from the village lead over the fells to Troutbeck, east into Longsleddale and northwards to Kentmere Reservoir, the source of the River Kent.